I hope your weekend was beautiful and restorative. I'm thrilled to announce that registration for Let's Face It 2018 is now OPEN! In 2018, we will travel through time, and study the different art movements and masters from those periods, as we learn more about portraiture, figurative art, style development, and so much more! This will be another year full of dynamic lessons from a variety of uber-talented creative guides! I'm so honored to be one of them! Join us now! Last years class boasts more than 900 students internationally! So come join the Let's Face It movement and enjoy this rich, supportive and vibrant community of creatives learning together. Hi all! Hope your week is off to a great start! Just wanted to pop in an announce the winner of the free seat in the fabulous Lifebook 2018! CONGRATS Eleni!!! Tam will be contacting you with further info on your free spot in Lifebook 2018! Thank you to everyone who entered and left wonderful comments on the blog and also shared this course! It's going to be an amazing Lifebook! I look forward to seeing many of you in class! I have some wonderful & exciting news! I am going to be teaching on Life Book 2018 next year! I'm beyond honored to be a part of this year long, immersive, healing and inspiring course! This class has truly changed people's lives and to contribute to the ongoing creative development and wellbeing of others is something that means the world to me as an Art educator. You can find out a lot more about this wildly popular course (it has been joined by over 16500+ people in the past!) by clicking HERE! 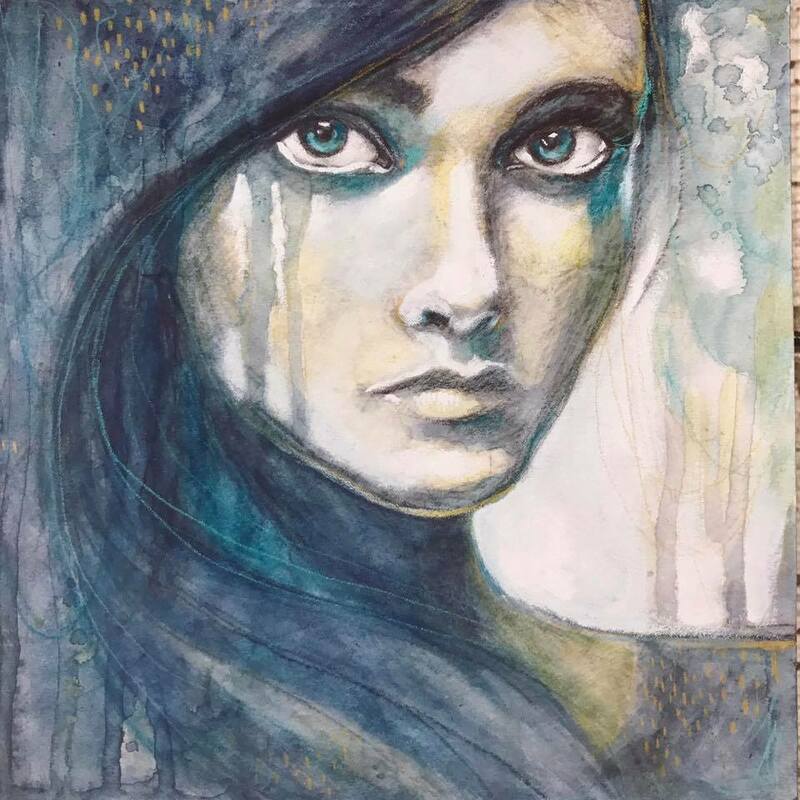 I'm currently developing my lessons but I know that I will be sharing intuitive portraiture and mixed media collage with you. 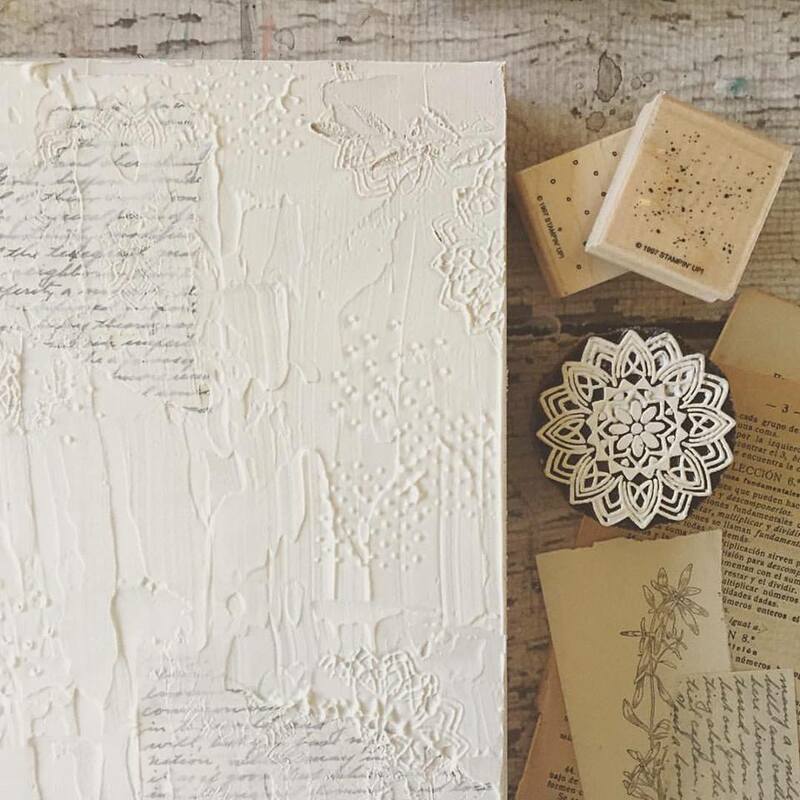 My true love is exploring emotion, the written word and mark-making through ART...so you can look forward to all of these being incorporated into my projects with you! Onto the give-away and blog hop! I am delighted to give away 1 space on Life Book 2018 to 1 lucky winner! In addition, if you follow the blog hop (see below for links and dates) you can up your chances of winning a space by entering all the other give-aways also! ☆ subscribe to this my newsletter here! ☆ Leave a comment below letting me know why you want to be a part of Lifebook 2018! I will announce the winner on Tuesday the 27th of September! Enjoy this fabulous BLOG HOP! Good luck! Hello lovely readers! I've got some very exciting news for you today! I'm going to be a guest teacher on the amazing International online creative class - Wanderlust 2018! I'm so honored to be a part of this beautiful class! “Wanderlust is a whole year long journey run by Everything Art! This is an online event offering you videos from 24 guest teachers and 2 resident teachers on a weekly basis (each one is full length, high quality and downloadable)! You will also have access to the Wanderlust Community with an incredibly supportive and friendly atmosphere - where all of the classes are gathered! Check out the fantastic lineup of teachers! You will also find there various activities that will stimulate your creativity and motivate you to simply enjoy the process of making art. Together with the class you will also get an exclusive whole year discount to leading art and craft retailers! Buy Wanderlust 2018 before 31st December 2017 and save 20%! You can learn all about it and sign up here! Check out this gorgeous preview video too! I hope you will join me for an inspiring year long journey of creating! Registration opens on May 17th 2017 and the class begins on July 1st 2017. I can give away 1 space on Ever After to 1 lucky winner, yay! 3. Leave a comment below letting us know how you entered and why you would love to join Ever After this year! I will announce the winner on May 24th! Good luck and thank you so much for all your support! I hope to see you in class!! Hi there friends. How are you doing? Well, now that my family has recovered from our bout with illness, we are getting back to our usual routine - Thank God! I'm making more time for art and have been a sketching and painting whenever I can. It's kinda crazy...after I spend time creating...it's like someone has given me a triple shot, venti Starbucks minus the shakes. I'm just seriously filled with this giddy energy. I'm thrilled to announce that registration for Let's Face It 2017 is now OPEN with a special early bird price too! This fantastic YEAR long online portrait class has an incredible line up of teachers and I'm honored to be one of them for a second year! If you have always wanted to learn how to paint and draw faces or improve your current portrait skills this is the class for you.You will be gifted with new found confidence, expertise and inspiration. I am so excited to announce that I am going to be a guest teacher in LET’S FACE IT 2017! 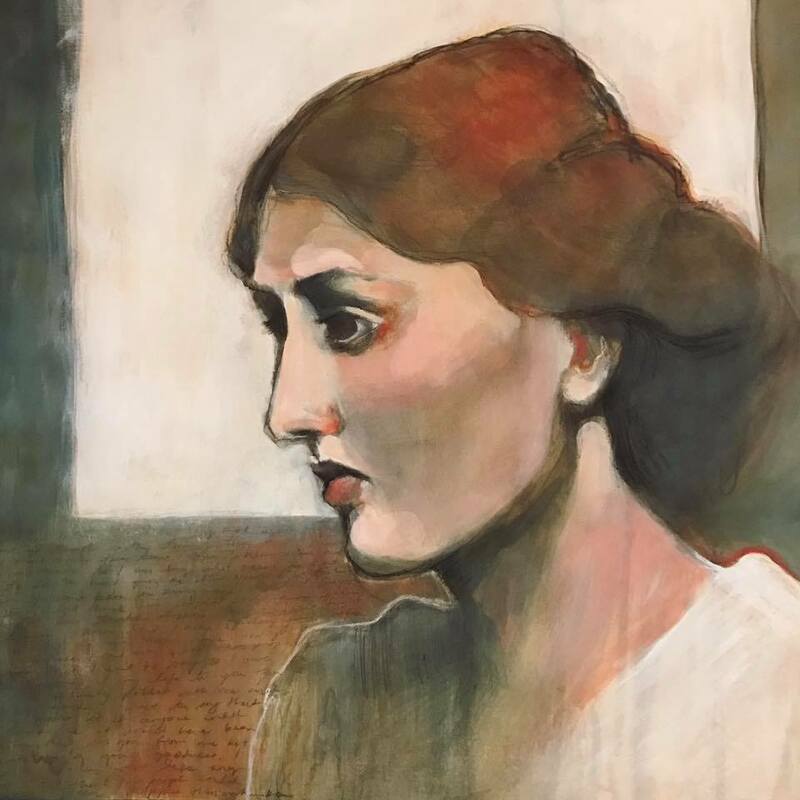 In case you are unfamiliar with this course, it is a year-long, online, art class created and hosted by Kara Bullock, devoted to creating portraits! It is for any level: beginning, intermediate, and advanced. The 2017 Let’s Face It class has a BRAND NEW line up of amazing teachers, and FIVE new areas of focus, with some other exciting EXTRAS, too! Click here to find out more about LET’S FACE IT. This year, Kara is joined by 19, AMAZING, guest teachers! You will not believe this line up! Together, we will be giving you 50 weeks of lessons that will continue to encourage and support you along your creative journey that you are on! Come and join us! Together we will connect, collaborate and create! I will be teaching you how to incorporate expressive hands and gestures into your portraits to truly add more story and depth to your work. Plus, I will share a special tip and mini lesson, too! This course is not open for registration yet! However, you can read more about it and bookmark this page so that on October 10th, you can come back and register. If you register by December 1st, you will get a discount on the price too! I am thrilled to be a part of this fantastic team of teachers and guess what else!? I get to give away one free spot in this course to one of you!! To enter my give away leave a comment expressing why you want to learn more about portraiture! I will announce the winner on October 6th! In the mean time, click here and book mark this page so that you can come back on October 10th and sign up! I can’t wait to begin this journey with each of you! Hello everyone! My goodness this summer has been a whirlwind! I can't believe I'm shopping for back to school supplies already. Today, however, I got to do some fun shopping for me - since it's my birthday! Woo! To further the festivities, I thought i would be fun to put my all time favorite online class in the limelight with a fabulous SALE! SO much love went into the making of this class! Check out this sweet preview video to get just a little taste of what you in store for! For the next 4 days you can join this class for 30% off its regular price! I hope you will join me for this very special class!! Off to an evening with my hubby for sushi! Yum. Hello there friends! I bring you exciting news this morning! Today, registration for a brand NEW class opens! This one is very special because beloved artist and teacher, Jeanne-Marie Webb is going to be your guide! Here are some examples of her beautiful work...such grace, and feminine beauty! Many of these beautiful portraits are done on tiny tea bags. A feat in itself! Look at this amazing collection below! Come join us and expand your creative practice with knowledge of portrait painting, mixed media and using the delicate and beautiful tea bag as delightful new supply! Hello! I hope this post finds you well! I know its been a little while since I've shared some yummy Art to Adore but I'm here to make up for it with a delicious sampling of work from the incredibly talented and insightful Dan McCaw. I even tracked down his out of print book and forked over for a small fortune for it. (Worth every penny.) His words take me back to studying in art school and has brought to the forefront, knowledge and training that I had stashed away and even rebelled from. He makes me feel like a hungry student again - a feeling I yearn for. First, here is a video interview that reveals what an inspiring mind this man possesses. Enjoy..
Aren't they just beautiful? So poetic in the way he suggests certain elements but leaves out others. I think there is such a beauty in allowing the viewer to fill in the blanks...it leaves room for interpretation. An openness to emotion and deep meaning. What do you think? Hello there! A little bit of fun to share - I've created a FREE mini class for all my subscribers! This wonderful mixed media and encaustic project is a favorite of my students, so I decided to make it available to everyone! Click here to create this with me!